We have a range of policies in place and available on our website and in school that are designed to achieve a fair, safe and harmonious environment. Policies provide guidance on the acceptable standards of behaviour expected of all staff, governors, children and adult visitors to our school. Star Primary School adheres the definition of safeguarding used in the Children Act 2004 and in the Department for Education and Skills (now DfE) guidance documents Working together to safeguard children and Keeping Children Safe in Education, to promote children’s and our school communities’ welfare. Our governing body supports the school by complying with the Education Act 2002 (section 175) and we keep up to date with guidance issued by the Secretary of State and LA. We follow Education Department and local authority guidance on safeguarding children and safer recruitment to ensure we provide a safe environment and take action to identify and protect any children or members of our learning community who may be at risk of significant harm. Our Child Safeguarding Officer actively promotes and champions child safeguarding. We are an Operation Encompass school. Please click on the link below for further information. Through self-review and monitoring we promote safe practice and ensure that adults working with children receive the necessary training for their roles. We work in partnership with other agencies providing services for children and their families to promote their well-being. Star Primary School is committed to ensuring all members of our diverse and multicultural community are able to deal with life’s challenges. We have appointed a passionate and highly skilled professional Child Safeguarding Officer Ms Matthews to support the Headteacher and designated Child Protection Officers by providing information, advice and guidance for our pupils, parents and staff. 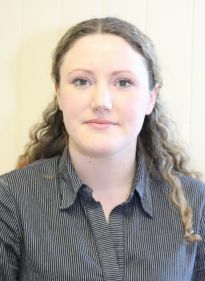 She is available to undertake a broad range of safeguarding and social work related duties within the school. The Child Safeguarding Officer will promote the school ethos and be an ambassador for Star Primary School and the community we serve. At star we all have a responsibility to ensure children are safeguarded and that priority is given to the Safeguarding Policy and Procedures in all the work we undertaken. Ms Matthews works tirelessly to ensure that children are safeguarded by dealing with issues by providing a non-judgemental, caring and confidential environment for them to work through their problems and difficulties. Our CSO is available to liaise and work with families to ensure that the pupils’ needs are being met and family issues addressed. She regularly undertakes training and meets with outside agencies to keep up to date with new and current legislation as well as statutory guidance. As such she is able to work with other agencies, provide advice, give guidance and introduce their services to the school community if appropriate. By working with children, families and others she works to help identify factors affecting individual pupil’s well-being and behaviour in school and at home in order to facilitate the appropriate interventions with other professionals and agencies where necessary to ensure all groups of pupils’ are safe. She works to support pupils and their families who are at risk of social exclusion because of a number of factors including poverty, poor housing etc. Having had the appropriate awareness of many of these factors, she is able to deal sensitively to the particular needs of refugees and asylum seekers and immigrants from the European Union. We can only be successful in keeping children safe if staff and parents work together to ensure that children are able to voice their concerns. It is important that adults speak to their children about how they can keep safe, teach them how to behave appropriately, set rules and deal with challenging behaviour. On this page we have a number of resources and links to other websites to help us all to access the appropriate support. Directory listing available services and charities to support families with a range of difficulties. Advice on protection from food, resources & equipment, advice, information & advocacy and finances / money. Online portal designed for parents with simple, easy to follow practical advice about safeguarding. Help and resources for adults to educate and explain how to stay safe. e-Safety Portal for Parents and Schools – by the Childline, CEOP and National Crime Agency. Supporting materials, activities and links to educate children and adults about E-safety. e-Safety Portal for Parents and Schools – by the Police, Child Exploitation and Online Protection (CEOP) centre.